The University of Iowa Libraries is proud to present an exhibition of materials and experiences related to the work of UI alumnus and faculty astrophysicist James Van Allen (1936 M.S., 1939 Ph.D.). Artifacts, writings, photos, and recordings invite visitors to enter the heart of the Space Age through Van Allen’s cosmic ray experiments aboard the Explorer satellites. The UI professor’s mission to map the fundamental forces that surround our planet yielded the first discovery of the space age: the Van Allen Radiation Belts. Visit our Gallery to experience the first data ever transmitted to the Earth from space and learn the compelling story of an era of scientific revolution at the University of Iowa. Want a preview? 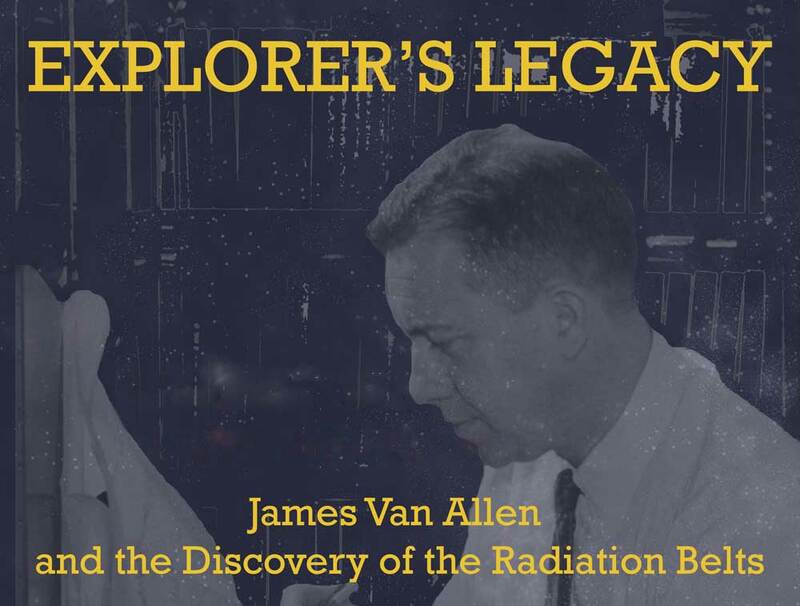 Visit explorer.lib.uiowa.edu to learn about Van Allen’s discovery. You can also learn about the nearly seven-year-long process of rescuing and preserving Van Allen’s research materials.